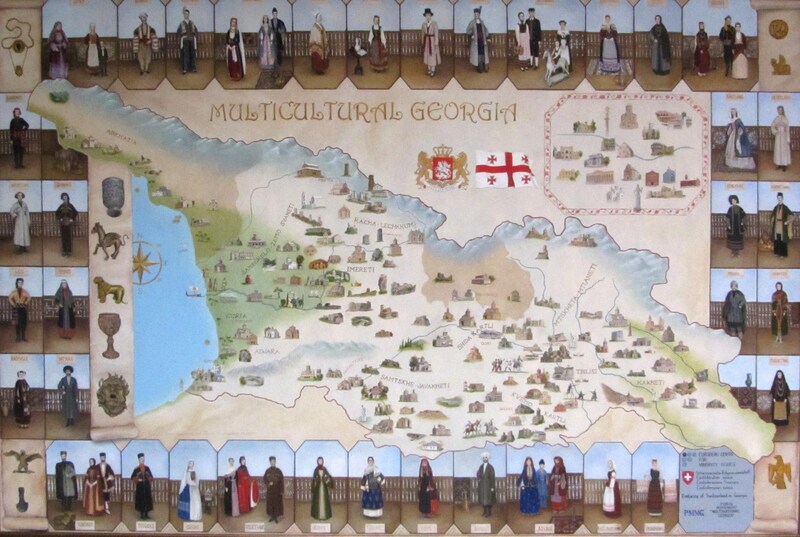 This map of Georgia depicts cultural sites and people of the Georgian regions in national clothing (past and present). Click on the map to see a larger version. Hi, do you know if I can buy this map anywhere? I saw it displayed in a wine bar in Tbilisi and I liked it very much, I would love to know if there’s anywhere I can buy it. Thanks!